One of the things we love about farming is that no two years are the same. This is true on multiple levels: the weather is never the same, the crops we grow constantly change and the way we grow them progresses through iterations of improvement every season. While we can’t control the weather we can control which varieties of crops we grow and our methods for growing them. Read on to learn about the biggest changes we’re making for our 2019 season. What is a caterpillar tunnel and what is it used for? 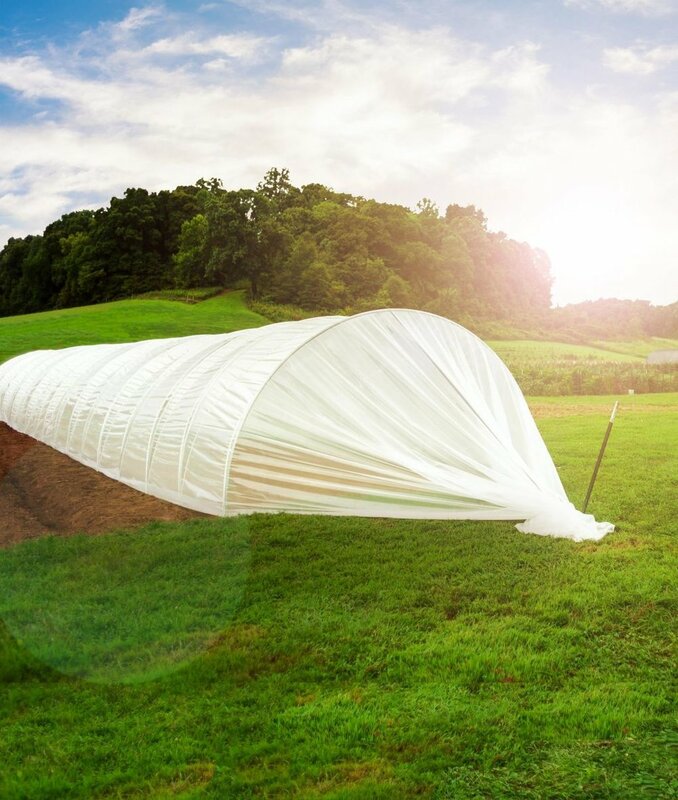 Caterpillar tunnels are a form of season extension that are made with really large sheets of plastic draped over metal ribs that are anchored in the ground. They offer protection from the wind, rain, heat and cold giving us a slightly longer growing season for the things we grow inside them. The most popular produce to grow in them are tomatoes, peppers, cucumbers and lettuce. We intend on using our tunnel to produce lettuce which leads us to our next change for 2019. One of our favorite things to grow is lettuce and it also happens to be something people really love. Dan took an online class over the winter to learn about strategies for producing lettuce all season long. We’ve developed some systems and invested in the necessary infrastructure to grow lettuce all summer long. This is very much an experiment year that we will use to hone our systems and ensure the lettuce we produce is sweet, crunchy and not bitter. Ultimately, our goal is to have lettuce available every week from mid May through October and perhaps even into November. Don’t worry, we won’t overload lettuce in your CSA box though it might take some time to figure out the correct quantity. Our current strawberry and raspberry beds are getting pretty old and thus their production and quality is deteriorating. Raspberries and strawberries take a couple years to get established and we have been reluctant to establish new beds at our current property for fear of moving before they’re established. Recently, we’ve made some progress towards buying the land we farm so we’re going to be investing in new raspberry, strawberry, asparagus, and rhubarb beds this season. We hope that in a few years we’ll be able to provide all of these perennials in our CSA boxes and farmers market stand. Newer PostWhat'd we learn at MOSES 2019?